Surprises delivered to the house are super fun. Not just for us but for our pets too! 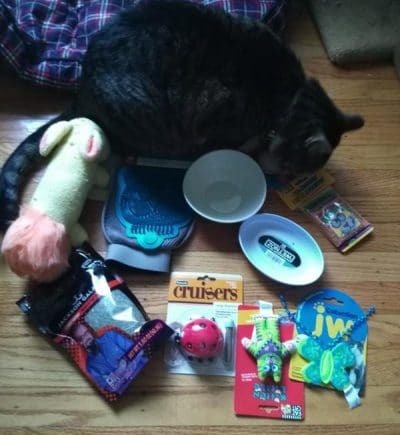 Right now you can treat your dog or cat to a box full of fun with Mystery Goodie Boxes from Petmate.com! 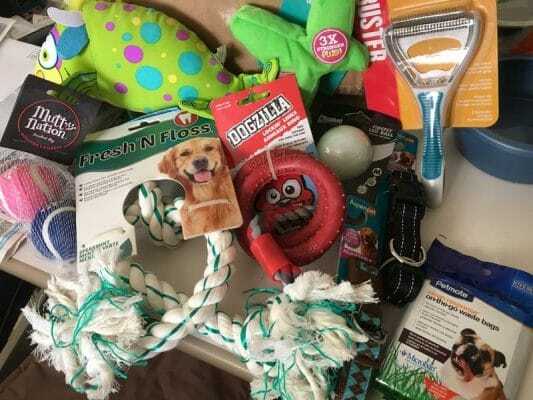 Each dog or cat mystery goodie box has a variety of items to keep your pet happy and engaged and includes at least ten items per box. And now is the best time to buy because of a very special offer that gets you LOTS of items for a very low price! Choose from the small, medium, or large dog assortment (its one-size-fits-all for cats) for a box FULL of surprises for your pet to love! 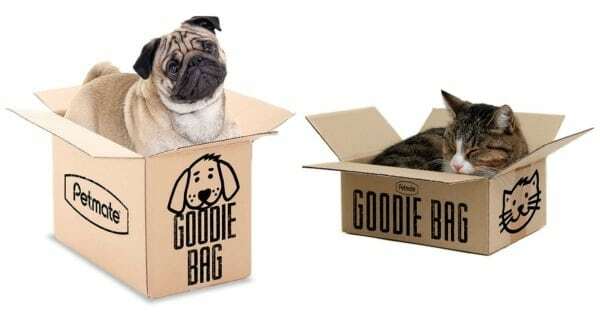 Goodie boxes may include collars, leashes, toys, bowls, waste management, and more – all in one simple box. Limited time offer: Use coupon code BOGO to get a buy one, get one FREE deal on goodie boxes at Petmate.com through Thursday, 9/20!